Hello! I recently received a $100 giftcard from Discount Tire Co. from a set of tires I bought a couple of months back. The timing could not be better for me as I have Halloween costumes to buy for next week, not to mention family photos next weekend, my brother-in-law's engagement party the weekend after and our big charity ball weekend the week after that! After several years of hard-work and fundraising by my amazing husband, the board of our favorite charity voted him to the board of directors of the Dallas Children's Charities this year. I am so proud of him and all his hard work! The day of our charity ball they host a Director's Brunch and this year he will receive his director's cup and pin. While all of that is great, the really important thing here is: what am I going to wear!?! 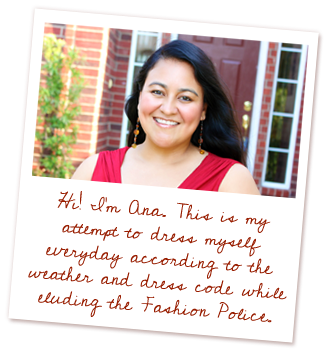 Last year, I wore the outfit in this post. I don't know what I am wearing this year, but I have to look nice for him. 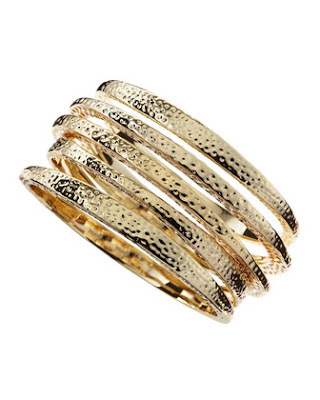 In the meantime, I've been shopping online and I found my Lila bangle set from Kendra Scott, seen here and here, on sale at Neiman Marcus Last Call. The current price at NMLC is $70, but this weekend you get an additional 30% discount, bringing the cost down to $49. I love my bangles and unlike other jewelry, Kendra Scott's products don't degrade over time. I've had these bangles since May and I wear them on a regular basis and they are still gold and beautiful and don't make my skin breakout. I contemplating buying them in the silver color as well because they go with everything! 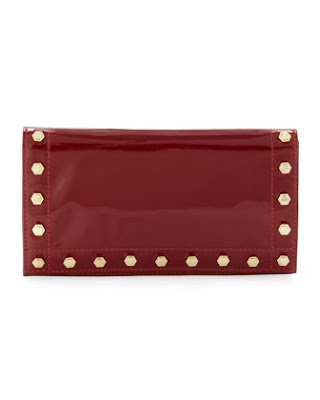 I also love this cherry red clutch for Z Spoke by Zac Posen. I love the gold metal studs and I don't have a red bag. I know I would not be able to shell out $200+ for it, but NMLC has it for sale for $125 and with the 30% discount this weekend, the bag is $87.50. That seems much more reasonable and I can make up plenty of outfits in my head that justify this purchase. Finally, I love cashmere and now that the weather is starting to cool, I can't think of a better splurge. I used to have a very comfy black v-neck cashmere that I practically lived in, and it got lost in a laundry room in Pismo, CA a couple of years ago when we attended my family reunion. Cashmere is one of those luxury items that I feel you should always buy the best that you can afford. I've bought cashmere at shops that weren't very high end, but unless I really baby them, they don't last as long as the higher quality ones do. 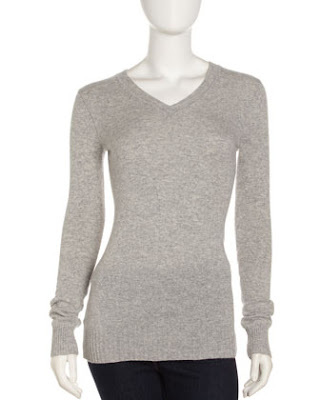 This grey double-v neck sweater is normally around $200, but it is $139 at NMLC. The total price including the 30% discount this weekend is $97.30. I definitely want it! While I can't make up my mind about what I will buy with my $100 Gift Card, I love that I can find high quality designer items for under $100 at Neiman Marcus Last Call. In addition, all orders over $75 get FREE SHIPPING with the code LCOCT75. What would you buy with a small and unexpected windfall? Love the red clutch! I miss shopping with you! !